OnTrack is a free programme hosted at Camden’s Roundhouse for 16-25s not in education, employment or training. 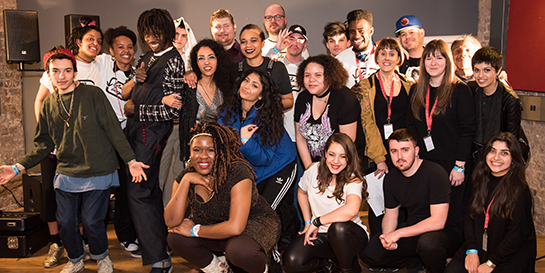 This year it brought together 17 creative young people to write their own songs and put together a live showcase from scratch. Along the way, they had access to masterclasses, Q&A panels and careers advice from some of the team at Universal Music UK. With a focus on music and enterprise, this year’s six-week programme finished on March 23. 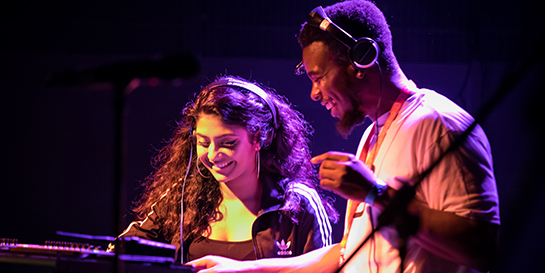 Virgin EMI’s director of video James Hackett, Bravado’s MD David Boyne and Fiction’s senior marketing manager Olivia Hobbs aided in deepening participants' understanding of the music industry. Bravado produced t-shirts which the group sold on the night of their showcase, with the proceeds going towards the costs of a studio session for the aspiring artists to record tracks from the showcase. Digital distribution and discovery platform Spinnup also kindly donated codes to allow each of the participants to upload a track without paying the fee.